Kim Kardashian subtly declared peace with Taylor Swift on Snapchat. After almost two years of a feud with the Trouble singer, Taylor Swift, and Kim Kardashian finally moved on from the drama. 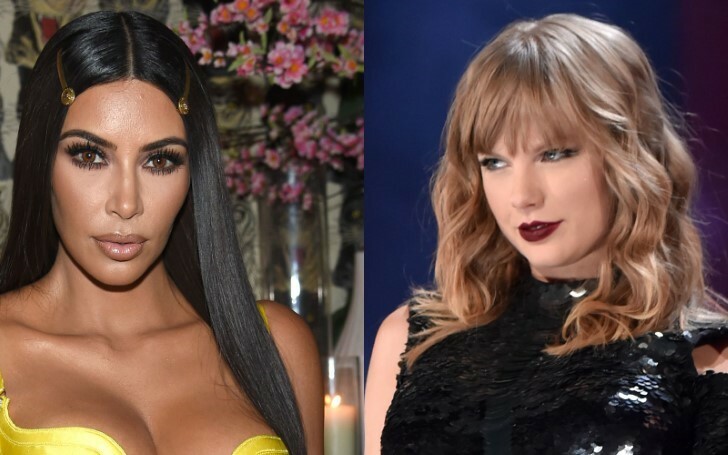 The reality star was listening to Swift’s hit track “Delicate” while she posted a video showcasing Kardashian West’s eye makeup. Meanwhile, fans of Swift couldn’t help but notice the song playing in the background. Earlier this week, during her appearance on Watch What Happens Live Kim clearly stated the feud was over after she picked being stuck in an elevator with Swift over being stuck in one with Drake, whom 'Kimye' currently has a beef with. When Andy Cohen directly questioned about the status of the Swift feud, Kardashian replied, "Over it. No [I haven’t had any communication with Taylor], I feel like we’ve all moved on." Back in 2016, Kim leaked clips of a call between Taylor and her husband Kanye West, as proof of Taylor approving Kayne of his song "Famous" which included lyrics about her. Shortly, after the song came out, Taylor claimed Kanye never told her he was calling her "that b*tch,” and even shaded him in an entire acceptance speech. So, Kim's posting of the videos to Snapchat just added more fuel to fire, causing the Endgame singer to hit back at Kim on Instagram. "You don’t get to control someone’s emotional response to being called 'that b*tch' in front of the entire world," she wrote. "He promised to play the song for me, but he never did." Since then both ladies took sly shots at each other over the years. Meanwhile, last year, on Valentine’s Day, Kardashian West sent her haters including Swift, some love by delivering a fragrance from the KKW Beauty mogul’s Kimoji Hearts KKW Fragrances line. To celebrate the collection, the star mailed out boxes filled with a large, hollow chocolate heart made by Chef Chris Ford with the fragrance stashed inside to special people in her life, and didn’t leave Swift out. However, apparently, it seems they've finally found peace for the drama which started on Snap, ended on Snap.